Sweden really wants dads to take paternity leave. To change this, the government introduced the so-called “daddy quota” in 1995. Fathers were given 30 days leave, which only they could use, to encourage them to stay at home. Failure to take the leave resulted in the loss of that month’s paid leave. The introduction of the quota had a massive impact; the proportion of fathers taking any leave increased from 44% to 77% after it was initially introduced. The law had the biggest impact on fathers on lower incomes and those born abroad, who increased their use of parental leave the most under the new take-it-or-leave-it formulation.The daddy quota was extended to 60 days in 2002, which also slightly increased the number of fathers taking leave, but had a less dramatic impact than the 1995 law. And on Jan. 1, the quota was extended to 90 days.The quota seems to have helped with equal parenting in Sweden; it retained more women in the workforce and now nine in 10 Swedish fathers take leave. But can it make much of a difference in other countries where there’s a greater disparity in parental leave use between women and men? She explains that since men aren’t likely to take leave if it’s badly paid, the daddy quota is less of an incentive in country’s where the mandatory pay during parental leave is low. Since Sweden has left paid at 80% of someone’s salary, initiatives like the daddy quota work quite well. We seek better lives for children through family court reform!! 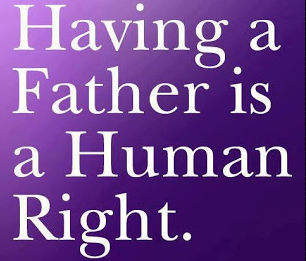 This Google+ Page is about the human rights of children with particular attention to the rights of special protection and care afforded to the young, including their right to association with both biological parents.